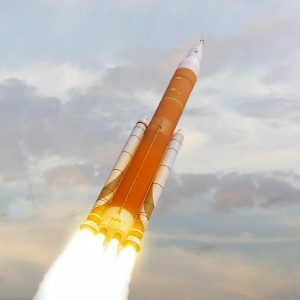 NASA’s Space Launch System (SLS) rocket is designed to be flexible and evolvable to meet a variety of crew and cargo mission needs – and with an exploration upper stage (EUS) planned for future configurations, the Universal Stage Adapter (USA) will connect the rocket to the Orion spacecraft. 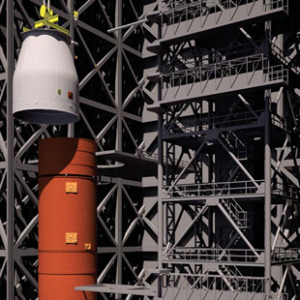 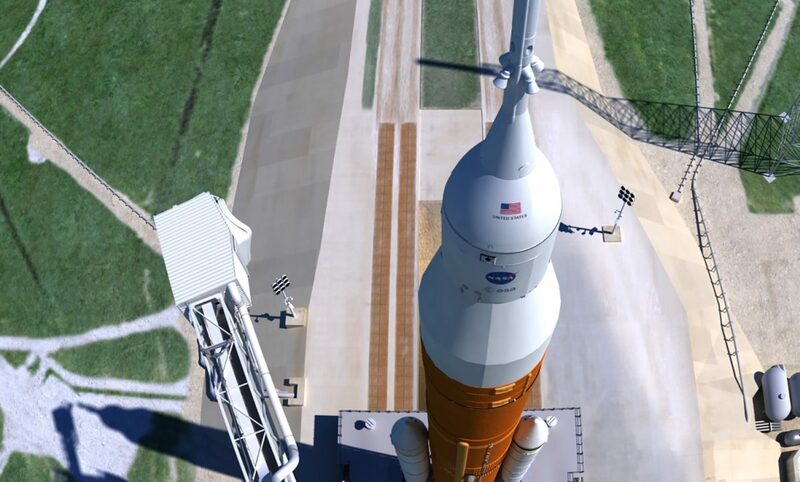 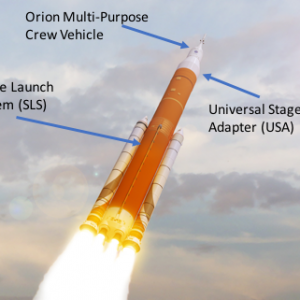 NASA has selected Dynetics, Inc. of Huntsville, Alabama, to develop and build a universal stage adapter for the agency’s Space Launch System (SLS) rocket. 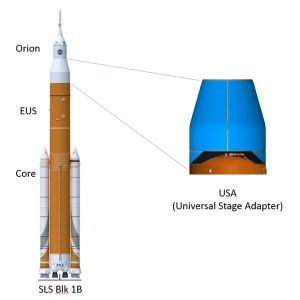 The adapter will connect NASA’s Orion spacecraft and provide additional cargo space for the future configurations of the rocket containing an exploration upper stage (EUS). 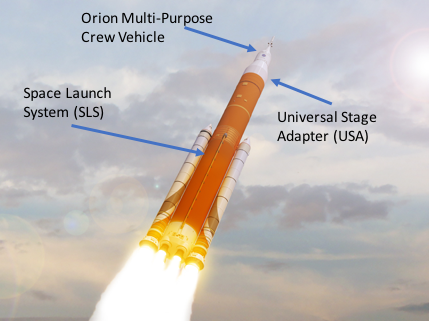 Under the contract, Dynetics will design, develop, test, evaluate, produce and deliver the first universal stage adapter for the second integrated mission of SLS and Orion, known as Exploration Mission-2, or EM-2. 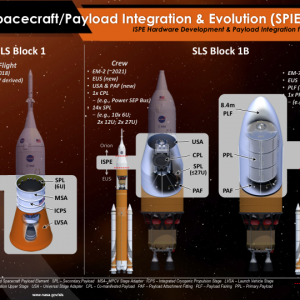 This mission will be the first test flight with crew aboard NASA’s new deep space exploration systems. 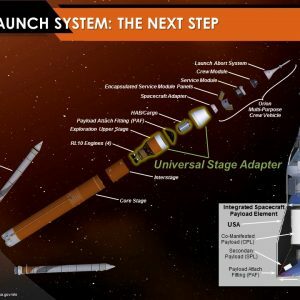 This cost plus award fee contract has a maximum potential value of $221.7 million and a potential performance period of 11 years, which includes a four-year base period that begins Aug. 1, and six options, allowing NASA to order up to six additional adapters for missions beyond EM-2. 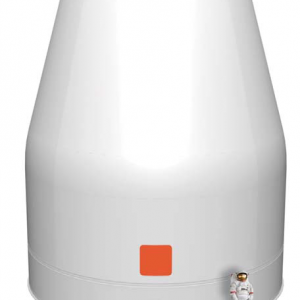 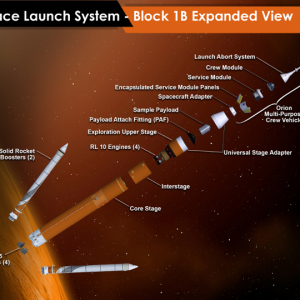 The universal stage adapter will house and protect large co-manifested payloads, such as habitats and deep-space exploration spacecraft, and secondary payloads including CubeSats. 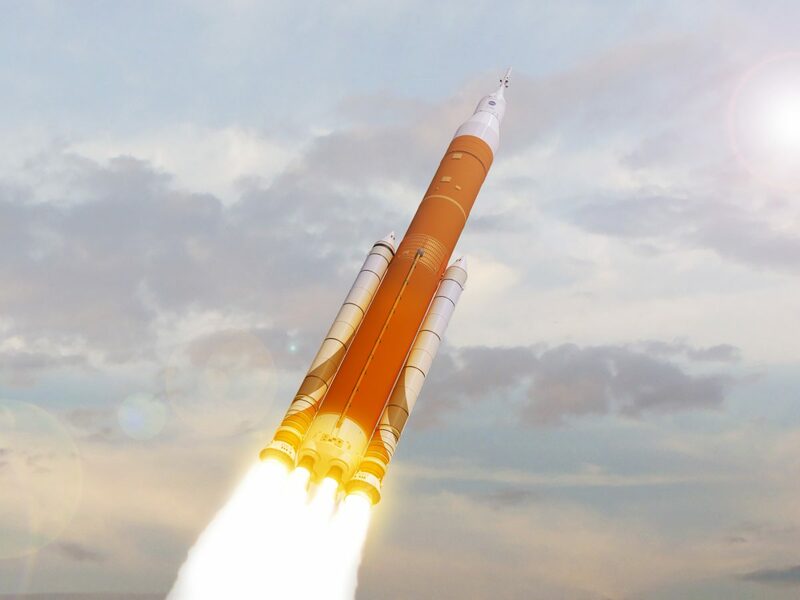 NASA’s SLS with the exploration upper stage for EM-2 is expected to lift more than 105 metric tons (231,000 pounds) from the Earth’s surface. 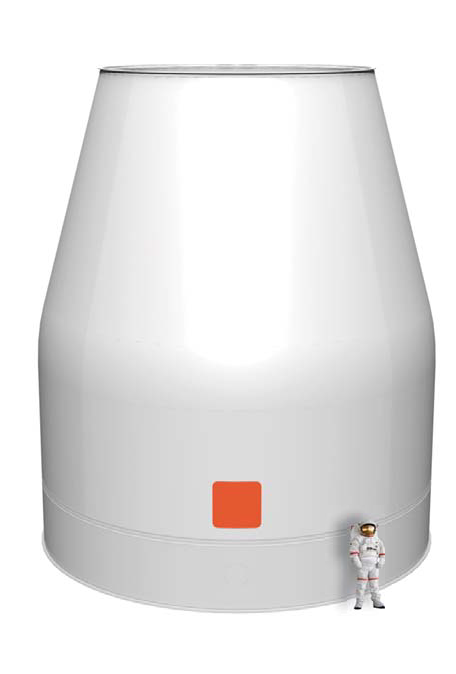 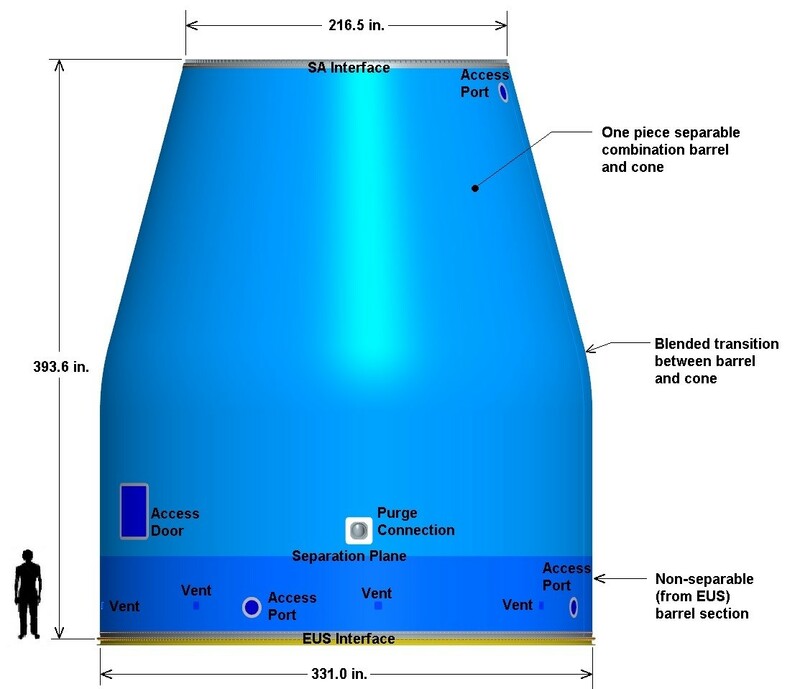 The universal stage adapter will stand 32.4 feet tall and will measure 27.6 feet in diameter at its largest point, and will provide environmental control to payloads during ground operations, launch and ascent, while also accommodating the electrical and communication paths between the EUS and Orion. 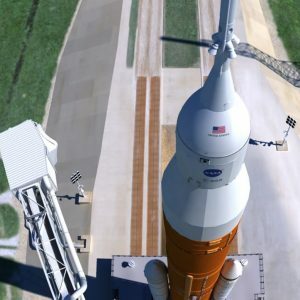 SLS, the world’s most powerful rocket, will launch astronauts aboard Orion to deep space, sending humans farther into the solar system than ever before as we prepare for missions to Mars. 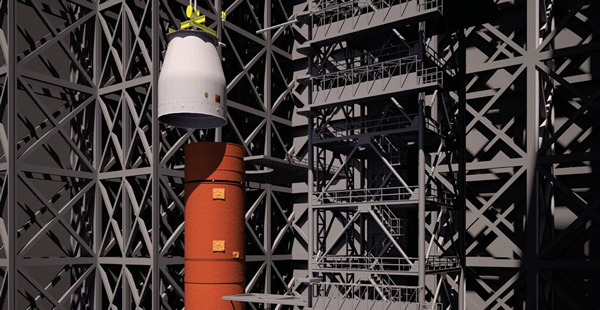 View additional information about the Space Launch System program. 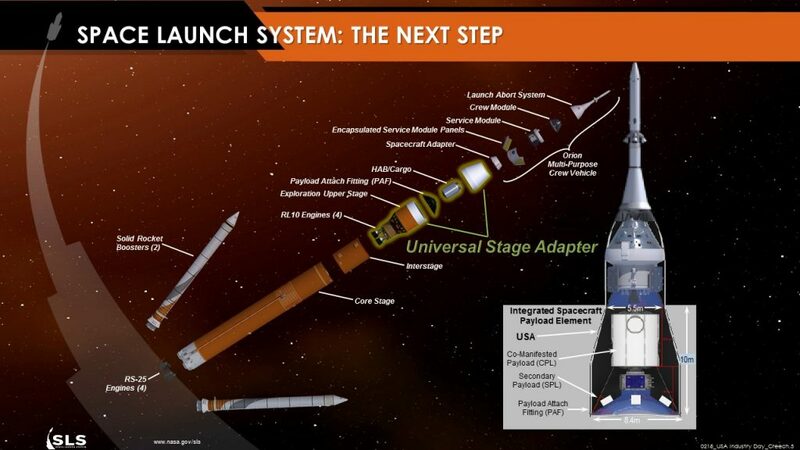 Space Launch System: The Next Step Infographic. 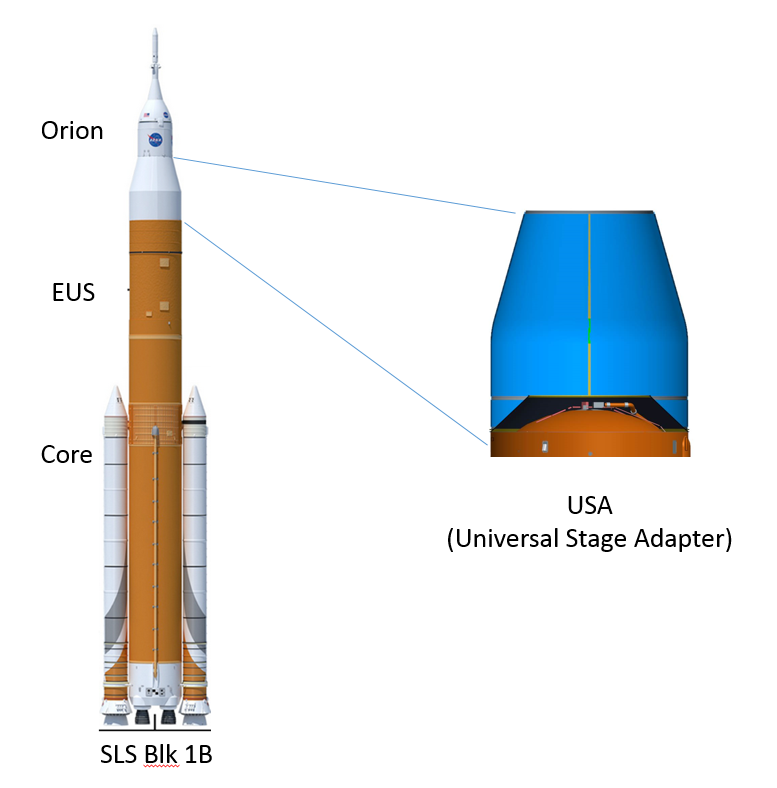 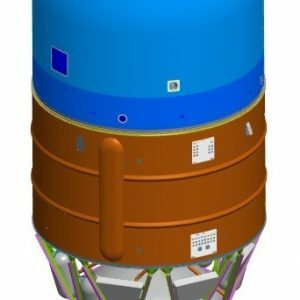 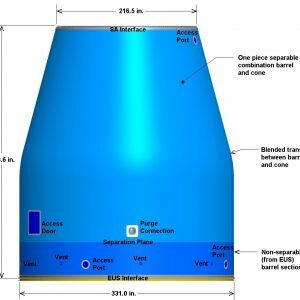 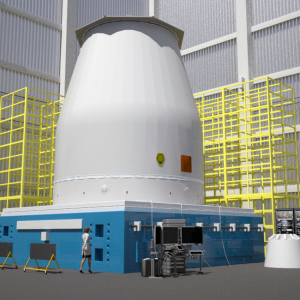 The Universal Stage Adapter (USA) will help connect the large Exploration Upper Stage (EUS) to the Orion spacecraft while accommodating the massive payloads SLS is intended to carry. 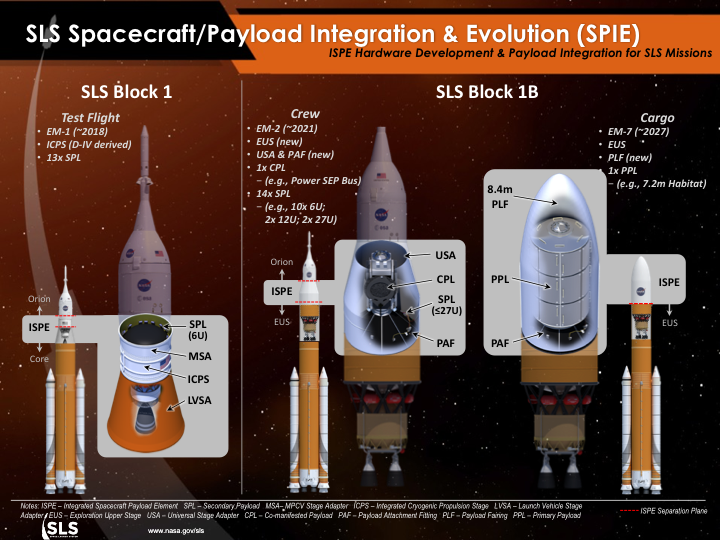 Launch of the Space Launch System (SLS) in the Block 1B configuration. 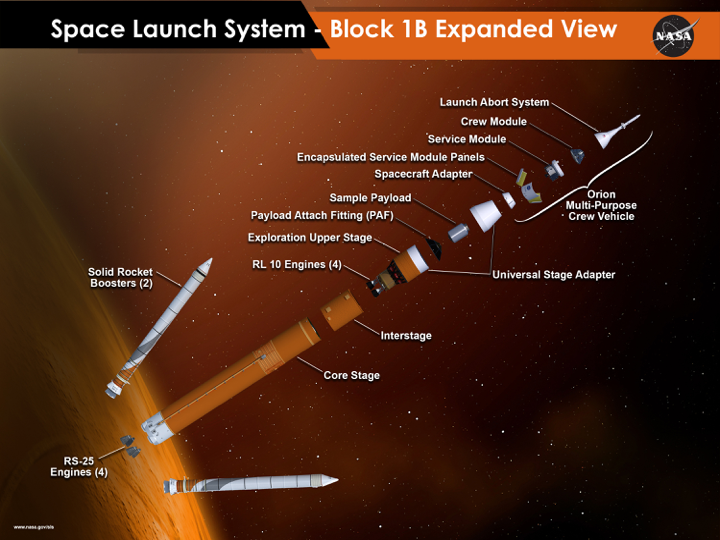 The Space Launch System (SLS) Block 1B configuration in flight.